Love it or hate it – sportswear, and more specifically trainers, are now a serious menswear collectible. So it makes complete sense that Adidas Originals teamed up with Henry Poole, one of Savile Row’s most esteemed tailoring outfits. 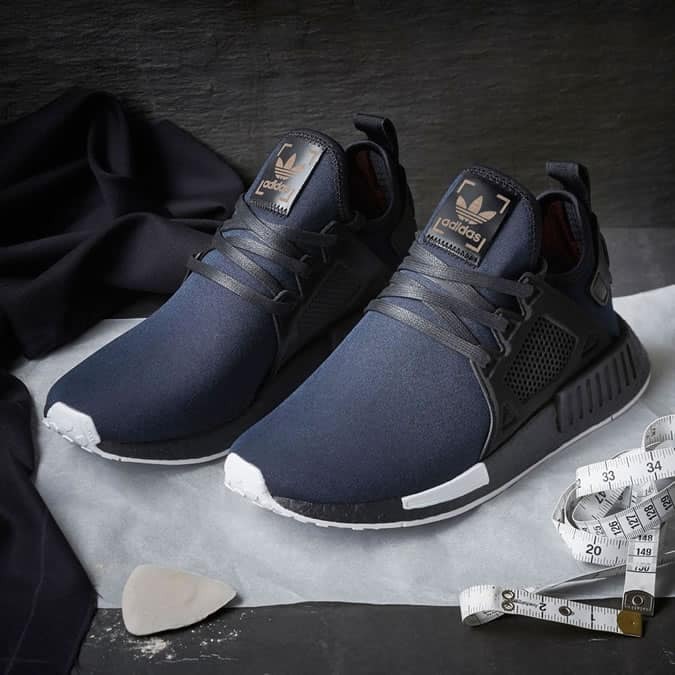 Releasing two limited edition models in collaboration, both the NMD XR1 and NMD R2 play to both sides’ strengths by imbuing tailoring mastery into some of streetwear’s most iconic shapes. The former is based on Henry Poole’s custom blue evening jacket for Edward VII – a piece often deemed responsible for the tuxedo’s revival. Which may sound like an odd inspiration for a trainer. But swap the tailcoats for a midnight blue colourway and grosgrain silk to the medical cage, and you’re left with a trainer that’s every inch the sneakerhead monarch. Meanwhile, the NMD R2 – or the day shoe – is cut from a chalk-stripe fabric with wine tones throughout; a Cundey Weave lining inside, and a claret accent to the outer sole. What’s more, the tailoring flex continues with a heel loop crafted from the collab’s exclusive selvedge fabric. Sure, they might not be the best anchor to your pinstriped three-piece, but this partnership really is the best of both worlds. Available from July 21 and August 4 respectively at Size?, priced £150.